Like a geography lesson gone mad, there really is nowhere else like Namibia. Huge and very sparcely populated, it’s a land of extremes. 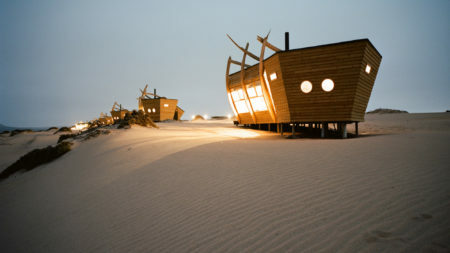 If you are seeking the unusual Namibia is ideal. Geography: The barren & fog-bound Skeleton Coast, famous for it’s shipwrecks and seal colony, the Namib, the oldest desert in the world, the famously photogenic dunes at Sossusvlei, the vast white expanses and huge skies of Etosha National Park and the world’s second largest canyon, the Fish River Canyon…. The wildlife: Unique desert-adapted wildlife, including mountain zebra, kudu, elephant and lion. The waterholes in all reserves attract large numbers of antelope and elephant creating photographic opportunities like nowhere else. The Etosha area is famous for rhino sightings, both white and black. 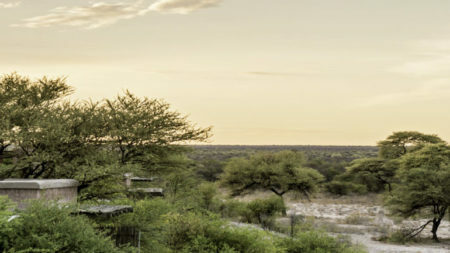 New super stylish lodges, allegedly very popular with the younger Royals, are providing fantastic standards of accommodation in previously hard to reach areas, and making superb trip itineraries possible and logistically simple. 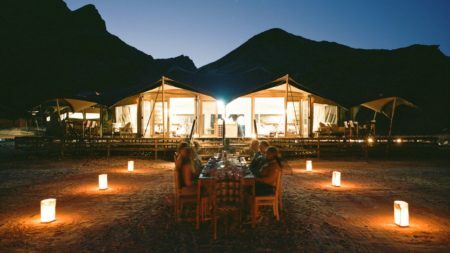 Stargazing from your bed in the Namib Desert in Africa’s first International Dark Sky Reserve. Easy to get to, flights from London via Johannesburg. Easy to self-drive, although distances are great so if time is an issue we recommend flying between camps. It’s easy to self drive around Namibia, however due to the size of the country most travellers choose to fly between lodges. We can easily tailor an itinerary to suit your plans. The most convenient way to reach Namibia is via air from Johannesburg.